Morton will offer insights into finding, navigating to, and exploring the hidden and unusual places that exist all around us. Along the way, she’ll share the most astonishing off-the-beaten path wonders she discovered while writing the book—from the synchronized fireflies of Kuala Lumpur, to the world’s deepest places, incredible natural phenomena, lost cities, self-made castles, lake monsters, unusual museums, and much more. Offering a breath of fresh air in today’s Google-mapped world, where it can often feel as though everything has already been discovered, Morton will prove that there are still magical places to discover behind every corner—if you just know where to look. 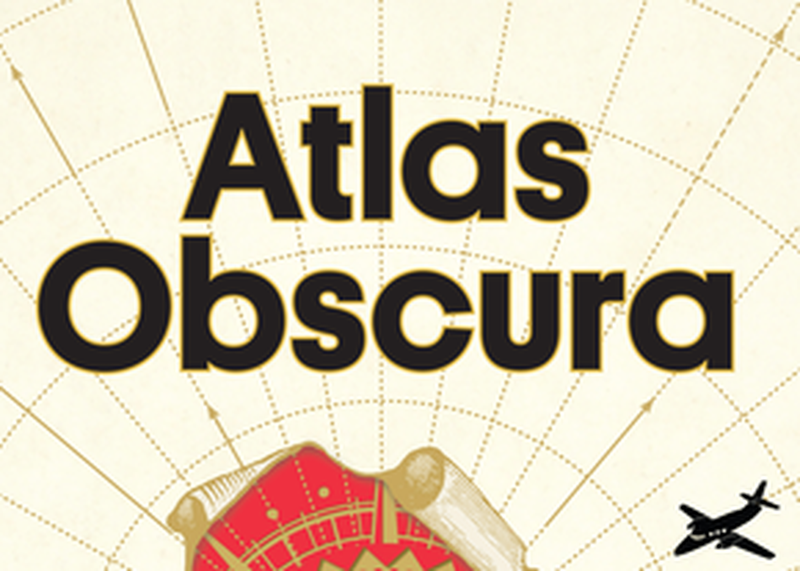 When Ella Morton, Joshua Foer, and Dylan Thuras set out to write Atlas Obscura: An Explorer’s Guide To The World’s Hidden Wonders, their goal was to create a catalog of all the places, people, and things that inspire wonder (after all, when you can buy a plane ticket and be in Borneo in less than a day, the world can feel awfully small). As the team behind AtlasObscura.com, an online destination focused on discovery and exploration, they had access to an unrivaled treasure trove of secrets, mysteries, intrigues, and curiosities to pull from. Today, Morton will offer insights into finding, navigating to, and exploring the hidden and unusual places that exist all around us. Along the way, she’ll share the most astonishing off-the-beaten path wonders she discovered while writing the book—from the synchronized fireflies of Kuala Lumpur, to the world’s deepest places, incredible natural phenomena, lost cities, self-made castles, lake monsters, unusual museums, and much more. Offering a breath of fresh air in today’s Google-mapped world, where it can often feel as though everything has already been discovered, Morton will prove that there are still magical places to discover behind every corner—if you just know where to look.